Agilent Technologies Blog Can a Blood Test Detect Skin Cancer? Home > About Agilent > Newsroom > Blog > Diagnostics and Genomics > Can a Blood Test Detect Skin Cancer? Australian researchers have developed the first blood test that can detect melanoma, a form of skin cancer. It can do so in the early stages and with a high degree of accuracy. Your body produces antibodies in response to melanoma. The new test works by detecting those antibodies in your blood. 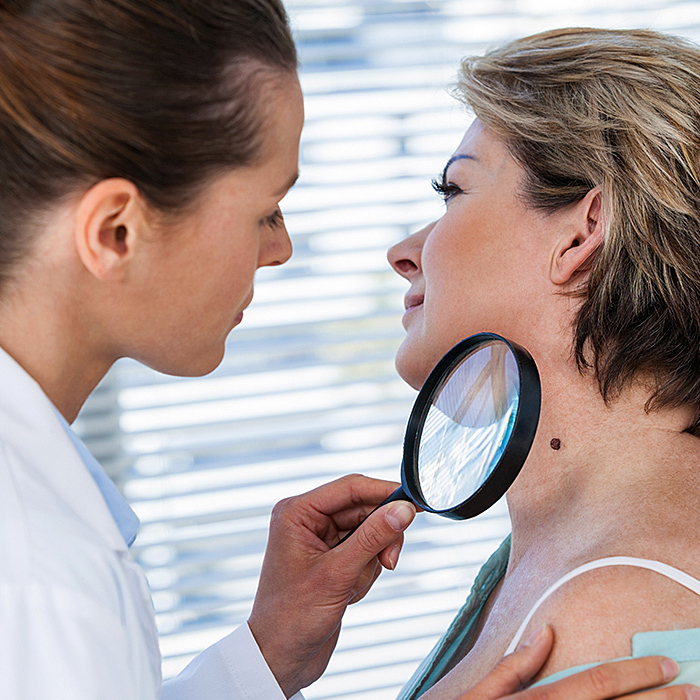 In initial studies, the researchers successfully identified the presence of melanoma with 79 percent accuracy, and the absence of melanoma with 84 percent accuracy. The researchers used Dako Cy3-rabbit anti-human igG (immunoglobulin G, a type of antibody) in developing their test. Dako, a global leader in pathology solutions, is now part of Agilent. The researchers plan to conduct three more years of trials and hope to bring the test to 90 percent accuracy. If successful, the test could be approved for clinical use within five years.